The human brain, it is often said, is the most complex object in the known universe. Counting all the connections among its roughly 90 billion neurons, at the rate of one each second, would take about 3 million years – and just counting these connections says nothing about their intricate patterns of connectivity. A new study, published this week in Proceedings of the National Academy of Sciences USA, shows that mapping out these patterns is likely to be much more difficult than previously thought — but also shows what we need to do, to succeed. Characterizing the detailed point-to-point connectivity of the brain is increasingly recognized as a key objective for neuroscience. Many even think that without knowing the ‘connectome’ – the brain’s wiring diagram – we will never understand how its electrochemical alchemy gives rise to our thoughts, actions, perceptions, beliefs, and ultimately to our consciousness. There is a good precedent for thinking along these lines. Biology has been galvanized by sequencing of the genome (of humans and of other species), and genetic medicine is gathering pace as whole-genome sequencing becomes fast and cheap enough to be available to the many, not just the few. Big-science big-money projects like the Human Genome Project were critical to these developments. Similar efforts in brain science – like the Human Connectome Project in the US and the Human Brain Project in Europe – are now receiving vast amounts of funding (though not without criticism, especially in the European case) (see also here). The hope is that the genetic revolution can be replicated in neuroscience, delivering step changes in our understanding of the brain and in our ability to treat neurological and psychiatric disorders. Mapping the networks of the human brain relies on non-invasive neuroimaging methods that can be applied without risk to living people. These methods almost exclusively depend on ‘diffusion magnetic resonance imaging (dMRI) tractography’. This technology measures, for each location (or ‘voxel’) in the brain, the direction in which water is best able to diffuse. Taking advantage of the fact that water diffuses more easily along the fibre bundles connecting different brain regions, than across them, dMRI tractography has been able to generate accurate, informative, and surprisingly beautiful pictures of the major superhighways in the brain. Diffusion MRI of the human brain. Source: Human Connectome Project. But identifying these neuronal superhighways is only a step towards the connectome. Think of a road atlas: knowing only about motorways may tell you how cities are connected, but its not going to tell you how to get from one particular house to another. The assumption in neuroscience has been that as brain scanning improves in resolution and as tracking algorithms gain sophistication, dMRI tractography will be able to reveal the point-to-point long-range anatomical connectivity needed to construct the full connectome. In a study published this week we challenge this assumption, showing that basic features of brain anatomy pose severe obstacles to measuring cortical connectivity using dMRI. 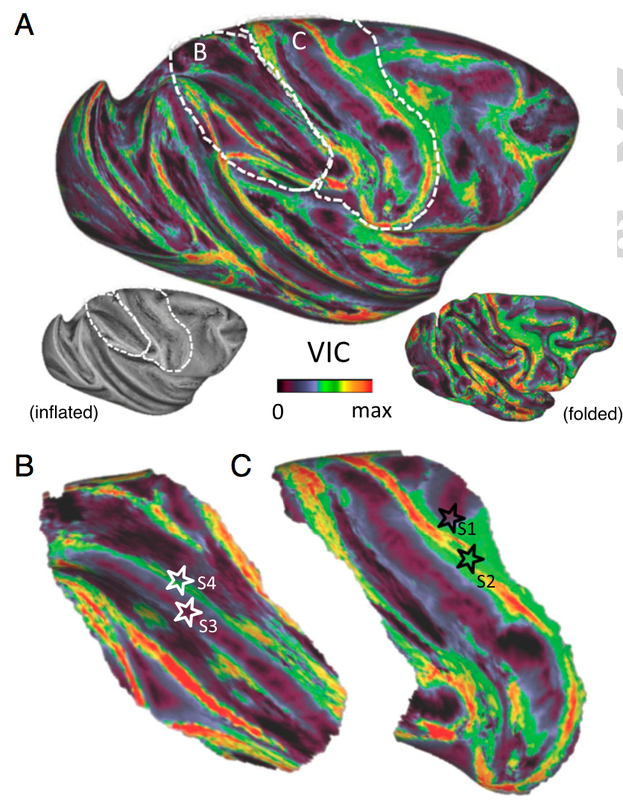 The study, a collaboration between the University of Sussex in the UK and the National Institutes of Health (NIH) in the US, applied dMRI tractography to ultra-high resolution dMRI data obtained from extensive scanning of the macaque monkey brain – data of much higher quality than can be presently obtained from human studies. Our analysis, led by Profs. Frank Ye and David Leopold of NIH and Ph.D student Colin Reveley of Sussex, took a large number of starting points (‘seed voxels’) in the brain, and investigated which other parts of the brain could be reached using dMRI tractography. The result: roughly half of the brain could not be reached, meaning that even our best methods for mapping the connectome aren’t up to the job. What’s more, by looking carefully at the actual brain tissue where tractography failed, we were able to figure out why. Lying just beneath many of the deep valleys in the brain (the ‘sulci’ – but in some other places too), are dense weaves of neuronal fibres (‘white matter’) running largely parallel to the cortical surface. 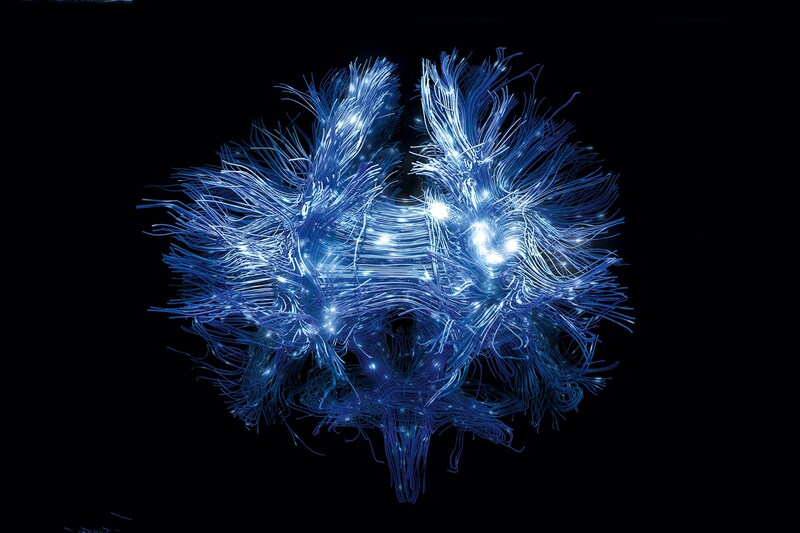 The existence of these ‘superficial white matter fibre systems’, as we call them, prevents the tractography algorithms from detecting where small tributaries leave the main neuronal superhighways, cross into the cortical grey matter, and reach their destinations. Back to the roads: imagine that small minor roads occasionally leave the main motorways, which are flanked by other major roads busy with heavy traffic. If we tried to construct a detailed road atlas by measuring the flow of vehicles, we might well miss these small but critical branching points. 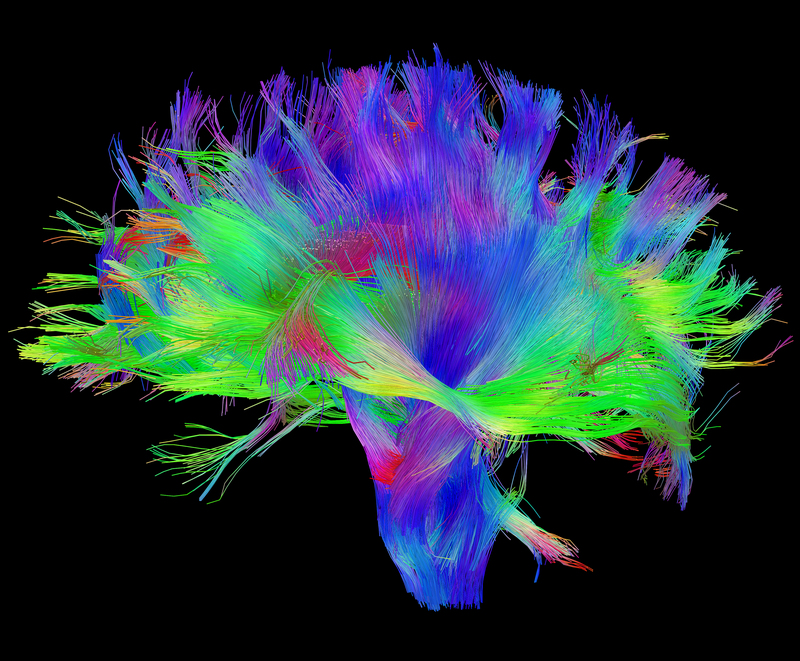 This image shows, on a colour scale, the ‘reachability’ of different parts of the brain by diffusion tractography. Identifying the connectome remains a central objective for neuroscience, and non-invasive brain imaging – especially dMRI – is a powerful technology that is improving all the time. But a comprehensive and accurate map of brain connectivity is going to require more than simply ramping up scanning resolution and computational oomph, a message that mega-budget neuroscience might usefully heed. This is not bad news for brain research. Solving a problem always requires fully understanding what the problem is, and our findings open new opportunities and objectives for studies of brain connectivity. Still, it goes to show that the most complex object in the universe is not quite ready to give up all its secrets. *David A. Leopold is the corresponding author. Open MIND is a brand new collection of original research publications on the mind, brain, and consciousness. It is now freely available online. The collection contains altogether 118 articles from 90 senior and junior researchers, in the always-revealing format of target articles, commentaries, and responses. As a senior member of the MIND group, I was lucky enough to contribute a target article, which was commented on by Wanja Wiese, one of the many talented graduate students with Metzinger and a junior MIND group member. My paper marries concepts in cybernetics and predictive control with the increasingly powerful perspective of ‘predictive processing’ or the Bayesian brain, with a focus on interoception and embodiment. I’ll summarize the main points in a different post, but you can go straight to the target paper, Wanja’s commentary, and my response. Open MIND is a unique resource in many ways. The Editors were determined to maximize its impact, so, unlike in many otherwise similar projects, the original target papers have not been circulated prior to launch. This means there is a great deal of highly original material now available to be discovered. The entire project was compressed into about 10 months from submission of initial drafts, to publication this week of the complete collection. This means the original content is completely up-to-date. Also, Open MIND shows how excellent scientific publication can sidestep the main publishing houses, given the highly developed resources now available, coupled of course with extreme dedication and hard work. The collection was assembled, rigorously reviewed, edited, and produced entirely in-house – a remarkable achievement. The results of Open MIND are truly impressive and will undoubtedly make a lasting contribution to the philosophy of mind, especially in its most powerful multidisciplinary and empirically grounded forms. Take a look, and open your mind too. Open MIND contributors: Adrian John Tetteh Alsmith, Michael L. Anderson, Margherita Arcangeli, Andreas Bartels, Tim Bayne, David H. Baßler, Christian Beyer, Ned Block, Hannes Boelsen, Amanda Brovold, Anne-Sophie Brüggen, Paul M. Churchland, Andy Clark, Carl F. Craver, Holk Cruse, Valentina Cuccio, Brian Day, Daniel C. Dennett, Jérôme Dokic, Martin Dresler, Andrea R. Dreßing, Chris Eliasmith, Maximilian H. Engel, Kathinka Evers, Regina Fabry, Sascha Fink, Vittorio Gallese, Philip Gerrans, Ramiro Glauer, Verena Gottschling, Rick Grush, Aaron Gutknecht, Dominic Harkness, Oliver J. Haug, John-Dylan Haynes, Heiko Hecht, Daniela Hill, John Allan Hobson, Jakob Hohwy, Pierre Jacob, J. Scott Jordan, Marius Jung, Anne-Kathrin Koch, Axel Kohler, Miriam Kyselo, Lana Kuhle, Victor A. Lamme, Bigna Le Nggenhager, Caleb Liang, Ying-Tung Lin, Christophe Lopez, Michael Madary, Denis C. Martin, Mark May, Lucia Melloni, Richard Menary, Aleksandra Mroczko-Wąsowicz, Saskia K. Nagel, Albert Newen, Valdas Noreika, Alva Noë, Gerard O’Brien, Elisabeth Pacherie, Anita Pacholik-Żuromska, Christian Pfeiffer, Iuliia Pliushch, Ulrike Pompe-Alama, Jesse J. Prinz, Joëlle Proust, Lisa Quadt, Antti Revonsuo, Adina L. Roskies, Malte Schilling, Stephan Schleim, Tobias Schlicht, Jonathan Schooler, Caspar M. Schwiedrzik, Anil Seth, Wolf Singer, Evan Thompson, Jarno Tuominen, Katja Valli, Ursula Voss, Wanja Wiese, Yann F. Wilhelm, Kenneth Williford, Jennifer M. Windt. 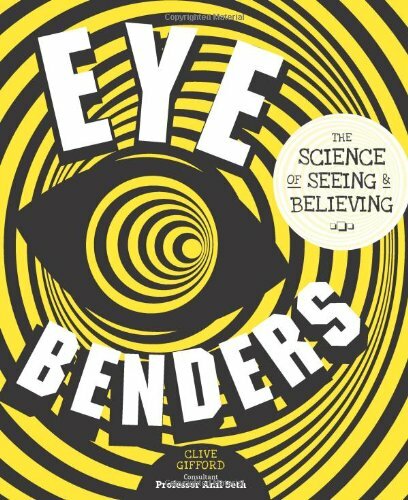 Eye Benders: the science of seeing and believing, wins Royal Society prize! An unexpected post. 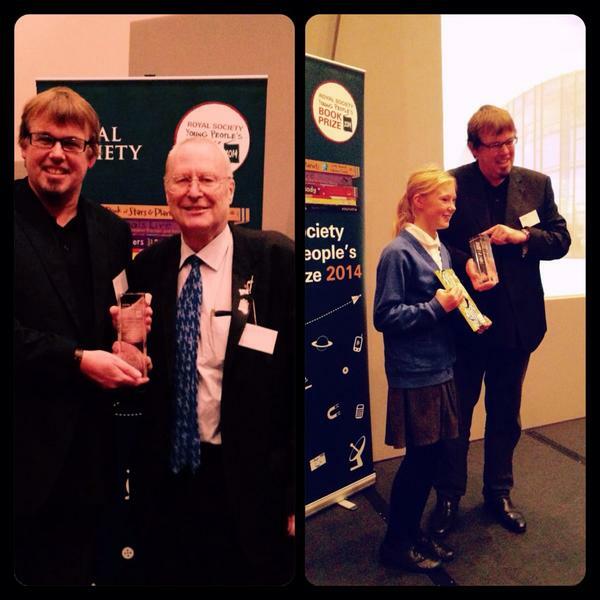 I’m very happy to have learnt today that the book Eye Benders has won the 2014 Royal Society Young Person’s Book Prize. Eye Benders was written by Clive Gifford (main author) and me (consultant). It was published by Ivy Press, who are also the redoubtable publishers of the so-far-prizeless but nonetheless worthy 30 Second Brain. 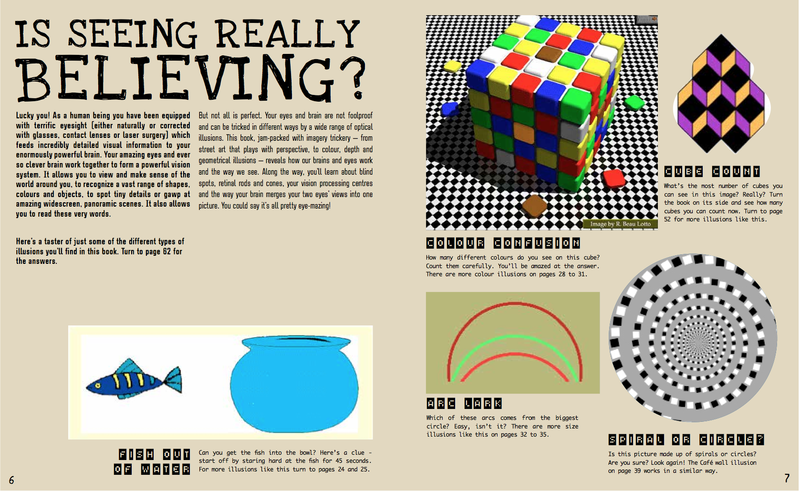 A follow-up to Eye Benders, Brain Twister, is in the works: More brain, less optical illusions, but same high quality young-person-neuroscience-fare. Beth, 14 said “It was way, way cool! A personal note: I remember well going through the final layouts for Eye Benders, heavily dosed on painkillers in hospital in Barcelona following emergency surgery, while at the same time my father was entering his final weeks back in Oxfordshire. A dark time. Its lovely, if bittersweet, to see something like this emerge from it. Image from 30 Second Brain, Ivy Press, available at all good booksellers. Neuroscientists long appreciated that people can make accurate decisions without knowing they are doing so. This is particularly impressive in blindsight: a phenomenon where people with damage to the visual parts of their brain can still make accurate visual discriminations while claiming to not see anything. But even in normal life it is quite possible to make good decisions without having reliable insight into whether you are right or wrong. In a paper published this week in Psychological Science, our research group – led by Ryan Scott – has for the first time shown the opposite phenomenon: blind insight. This is the situation in which people know whether or not they’ve made accurate decisions, even though they can’t make decisions accurately! This is important because it changes how we think about metacognition. Metacognition, strictly speaking, is ‘knowing about knowing’. When we make a perceptual judgment, or a decision of any kind, we typically have some degree of insight into whether our decision was correct or not. This is metacognition, which in experiments is usually measured by asking people how confident they are in a previous decision. Good metacognitive performance is indicated by high correlations between confidence and accuracy, which can be quantified in various ways. Most explanations of metacognition assume that metacognitive judgements are based on the same information as the original (‘first-order’) decision. For example, if you are asked to decide whether a dim light was present or not, you might make a (first-order) judgment based on signals flowing from your eyes to your brain. Perhaps your brain sets a threshold below which you will say ‘No’ and above which you will say ‘Yes’. Metacognitive judgments are typically assumed to work on the same data. If you are asked whether you were guessing or were confident, maybe you will set additional thresholds a bit further apart. The idea is that your brain may need more sensory evidence to be confident in judging that a dim light was in fact present, than when merely guessing that it was. This way of looking at things is formalized by signal detection theory (SDT). The nice thing about SDT is that it can give quantitative mathematical expressions for how well a person can make both first-order and metacognitive judgements, in ways which are not affected by individual biases to say ‘yes’ or ‘no’, or ‘guess’ versus ‘confident’. (The situation is a bit trickier for metacognitive confidence judgements but we can set these details aside for now: see here for the gory details). A simple schematic of SDT is shown below. Signal detection theory. The ‘signal’ refers to sensory evidence and the curves show hypothetical probability distributions for stimulus present (solid line) and stimulus absent (dashed line). If a stimulus (e.g., a dim light) is present, then the sensory signal is likely to be stronger (higher) – but because sensory systems are assumed to be noisy (probabilistic), some signal is likely even when there is no stimulus. The difficulty of the decision is shown by the overlap of the distributions. The best strategy for the brain is to place a single ‘decision criterion’ midway between the peaks of the two distributions, and to say ‘present’ for any signal above this threshold, and ‘absent’ for any signal below. This determines the ‘first order decision’. Metacognitive judgements are then specified by additional ‘confidence thresholds’ which bracket the decision criterion. If the signal lies in between the two confidence thresholds, the metacognitive response is ‘guess’; if it lies to the two extremes, the metacognitive response is ‘confident’. The mathematics of SDT allow researchers to calculate ‘bias free’ measures of how well people can make both first-order and metacognitive decisions (these are called ‘d-primes’). As well as providing a method for quantifying decision making performance, the framework is also frequently assumed to say something about what the brain is actually doing when it is making these decisions. It is this last assumption that our present work challenges. On SDT it is easy to see that one can make above-chance first order decisions while displaying low or no metacognition. One way to do this would be to set your metacognitive thresholds very far apart, so that you are always guessing. But there is no way, on this theory (without making various weird assumptions), that you could be at chance in your first-order decisions, yet above chance in your metacognitive judgements about these decisions. Surprisingly, until now, no-one had actually checked to see whether this could happen in practice. This is exactly what we did, and this is exactly what we found. 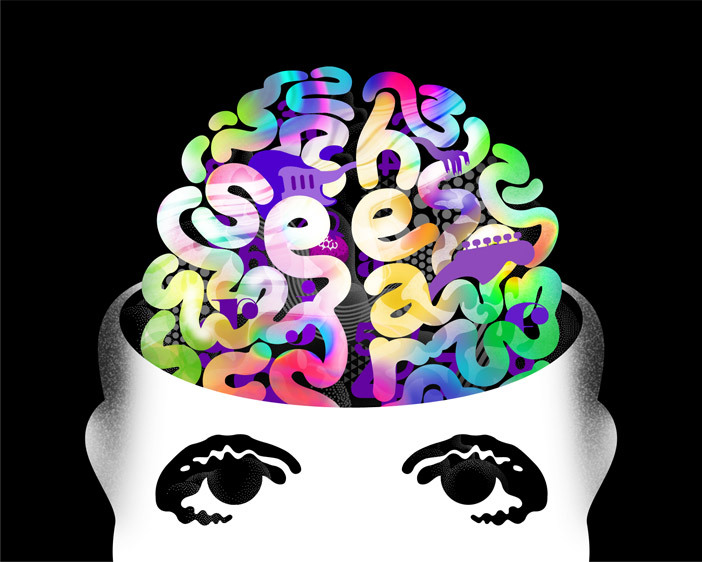 We analysed a large amount of data from a paradigm called artificial grammar learning, which is a workhorse in psychological laboratories for studying unconscious learning and decision-making. 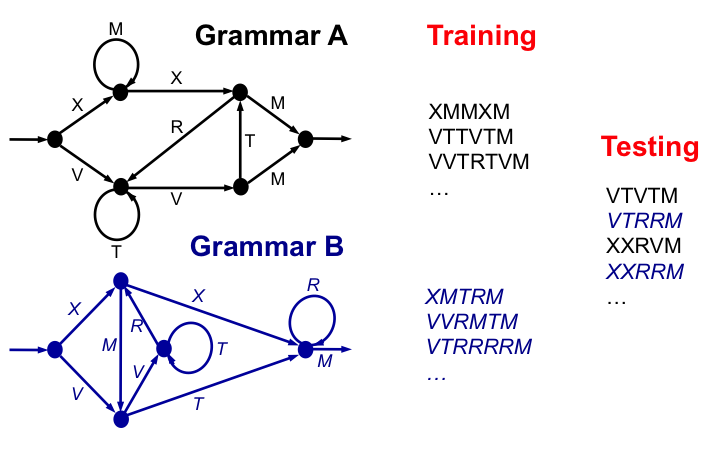 In artificial grammar learning people are shown strings of letters and have to decide whether each string belongs to ‘grammar A’ or ‘grammar B’. Each grammar is just an arbitrary set of rules determining allowable patterns of letters. 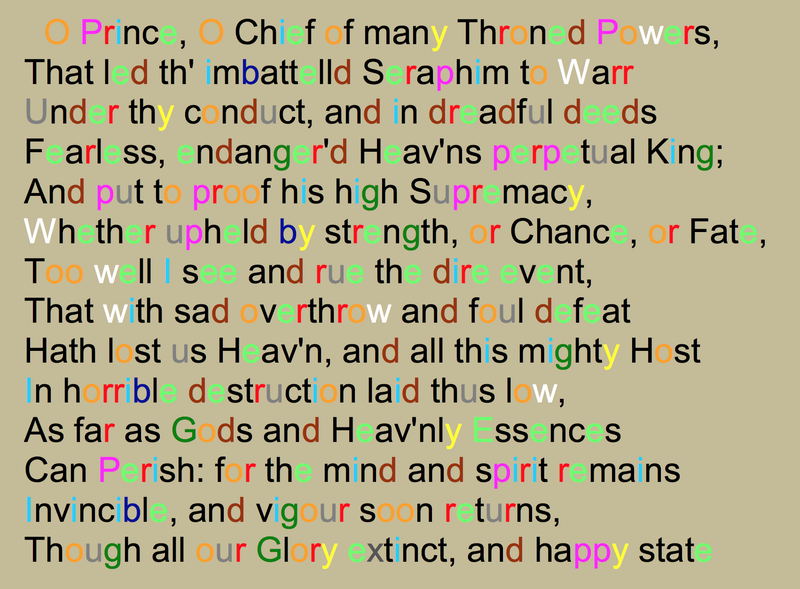 Over time, most people can learn to classify letter strings at better than chance. However, over a large sample, there will always be some people that can’t: for these unfortunates, their first-order performance remains at ~50% (in SDT terms they have a d-prime not different from zero). Artificial grammar learning. Two rule sets (shown on the left) determine which letter strings belong to ‘grammar A’ or ‘grammar B’. Participants are first shown examples of strings generated by one or the other grammar (training). Importantly, they are not told about the grammatical rules, and in most cases they remain unaware of them. Nonetheless, after some training they are able to successfully (i.e., above chance) classify novel letter strings appropriately (testing). Crucially, subjects in our experiments were asked to make confidence judgments along with their first-order grammaticality judgments. Focusing on those subjects who remained at chance in their first-order judgements, we found that they still showed above-chance metacognition. That is, they were more likely to be confident when they were (by chance) right, than when they were (by chance) wrong. We call this novel finding blind insight. 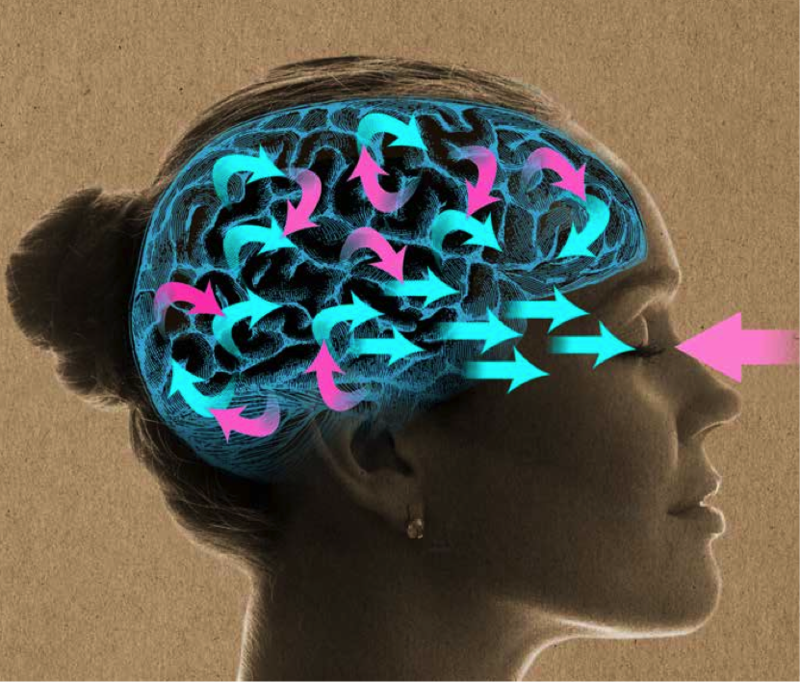 The discovery of blind insight changes the way we think about decision-making. Our results show that theoretical frameworks based on SDT are, at the very least, incomplete. Metacognitive performance during blind insight cannot be explained by simply setting different thresholds on a single underlying signal. Additional information, or substantially different transformations of the first-order signal, are needed. Exactly what is going on remains an open question. Several possible mechanisms could account for our results. 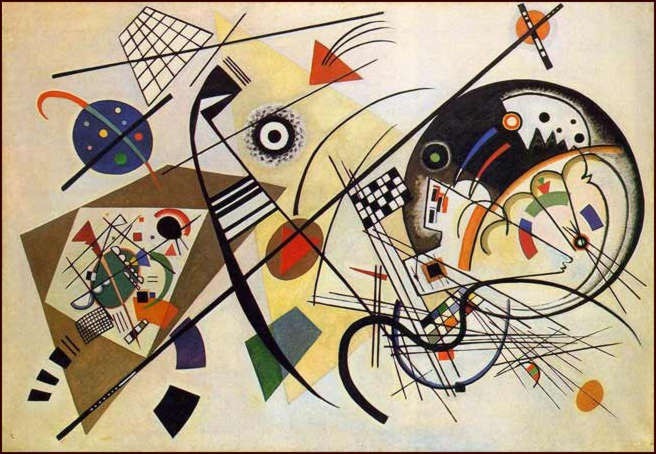 One exciting possibility appeals to predictive processing, which is the increasingly influential idea that perception depends on top-down predictions about the causes of sensory signals. If top-down influences are also involved in metacognition, they could carry the additional information needed for blind insight. This would mean that metacognition, like perception, is best understood as a process of probabilistic inference. In predictive processing theories of brain function, perception depends on top-down predictions (blue) about the causes of sensory signals. Sensory signals carry ‘prediction errors’ (magenta) which update top-down predictions according to principles of Bayesian inference. Maybe a similar process underlies metacognition. Image from 30 Second Brain, Ivy Press. This brings us to consciousness (of course). Metacognitive judgments are often used as a proxy for consciousness, on the logic that confident decisions are assumed to be based on conscious experiences of the signal (e.g., the dim light was consciously seen), whereas guesses signify that the signal was processed only unconsciously. If metacognition involves top-down inference, this raises the intriguing possibility that metacognitive judgments actually give rise to conscious experiences, rather than just provide a means for reporting them. While speculative, this idea fits neatly with the framework of predictive processing which says that top-down influences are critical in shaping the nature of perceptual contents. The discovery of blindsight many years ago has substantially changed the way we think about vision. Our new finding of blind insight may similarly change the way we think about metacognition, and about consciousness too. I’m co-author on a new paper in Psychological Science – a collaboration between the Sackler Centre (me and Adam Barrett) and the University of Amsterdam (where I am a Visiting Professor). The new study addresses the continuing debate about whether the apparent rich content of our visual sensory scenes is somehow an illusion, as suggested by experiments like change blindness. Here, we provide evidence in the opposite direction by showing that metacognition (literally, cognition about cognition) is equivalent for different kinds of visual memory, including visual ‘sensory’ memory which reflects brief, unattended, stimuli. The results indicate that our subjective impression of seeing more than we can attend to is not an illusion, but is an accurate reflection of the richness of visual perception. 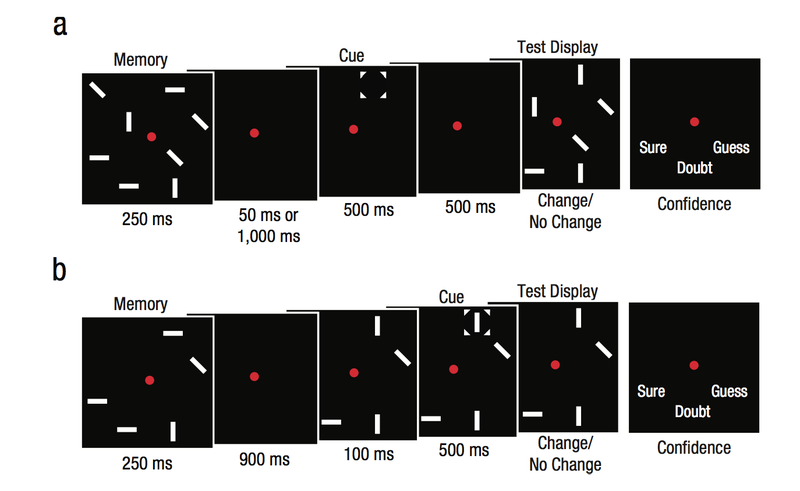 Accurate Metacognition for Visual Sensory Memory Representations. Vandenbroucke AR1, Sligte IG, Barrett AB, Seth AK, Fahrenfort JJ, Lamme VA. The capacity to attend to multiple objects in the visual field is limited. 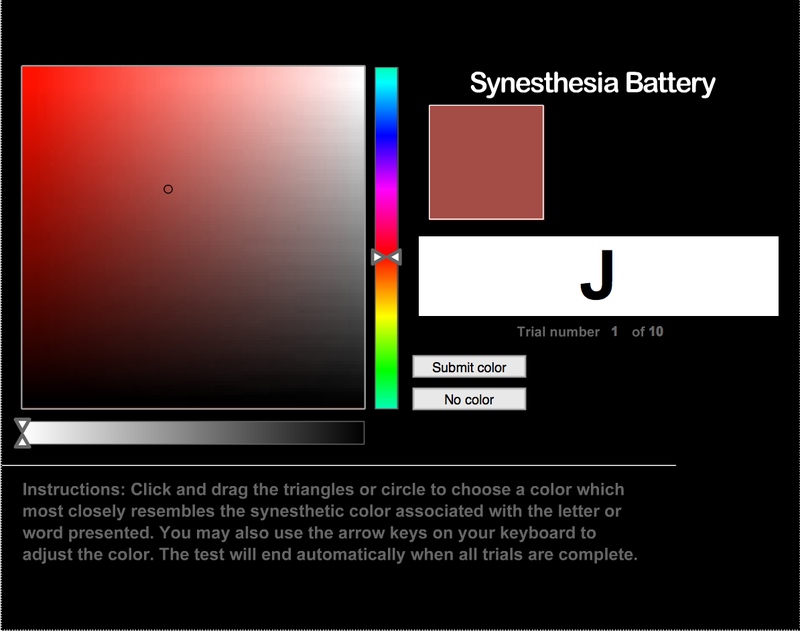 However, introspectively, people feel that they see the whole visual world at once. 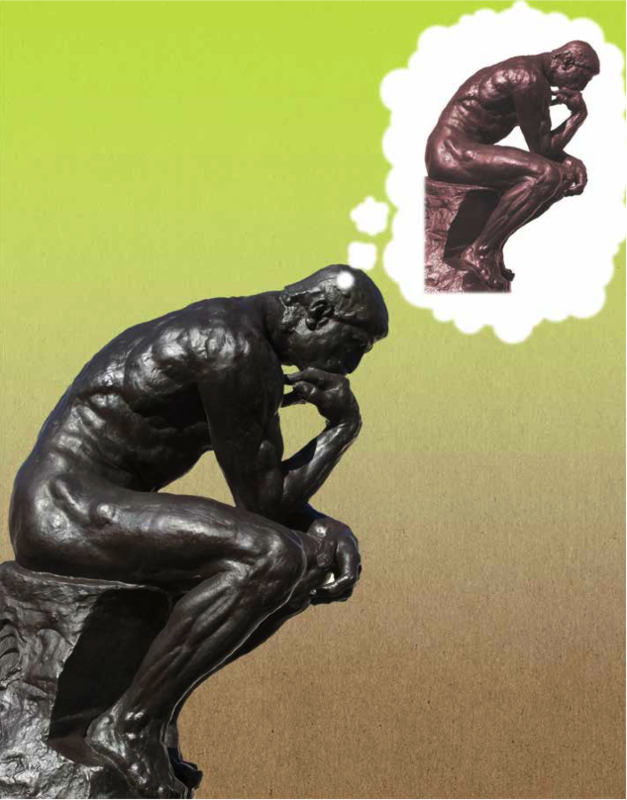 Some scholars suggest that this introspective feeling is based on short-lived sensory memory representations, whereas others argue that the feeling of seeing more than can be attended to is illusory. Here, we investigated this phenomenon by combining objective memory performance with subjective confidence ratings during a change-detection task. This allowed us to compute a measure of metacognition-the degree of knowledge that subjects have about the correctness of their decisions-for different stages of memory. We show that subjects store more objects in sensory memory than they can attend to but, at the same time, have similar metacognition for sensory memory and working memory representations. This suggests that these subjective impressions are not an illusion but accurate reflections of the richness of visual perception.